The OG fan page of James Holzhauer, Jeopardy! Champion. James Holzhauer began his run on Jeopardy! on April 4, 2019. Who will be the one to finally dethrone him? 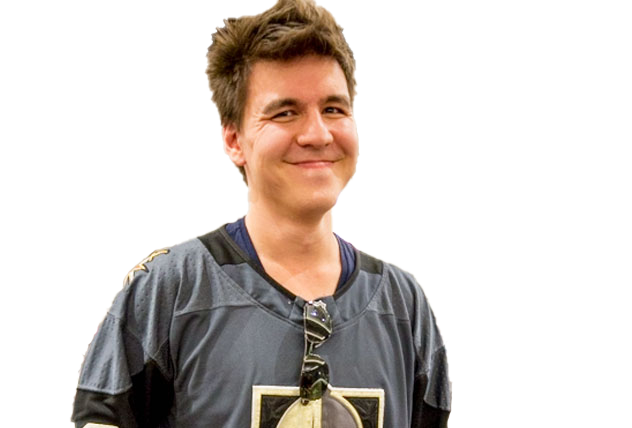 King James Holzhauer is an unofficial fan site dedicated to James Holzhauer. Our purpose is to promote interest in James Holzhauer and his Jeopardy! appearance(s). We are in no way officially affiliated with James Holzhauer, his friends, or his family. This is a site made by a fan for the fans. All materials on this site are for entertainment purposes only. No copyright infringement is ever intended. Picture copyright is owned by the respective photographers. If you want to see pictures on this website removed, please specify which ones and give us time to remove these before taking any further action. If you are a copyright holder and wish credits on your images or articles, please let me know and we will be glad to add them.